Royal Bank of Australia raised raised interest rates again earlier today to 3.5% (highest in the Western world) as world markets had a better day with buyers stepping into last week’s oversold conditions. News that US car giant Ford returned to profitability certainly helped to lift markets. 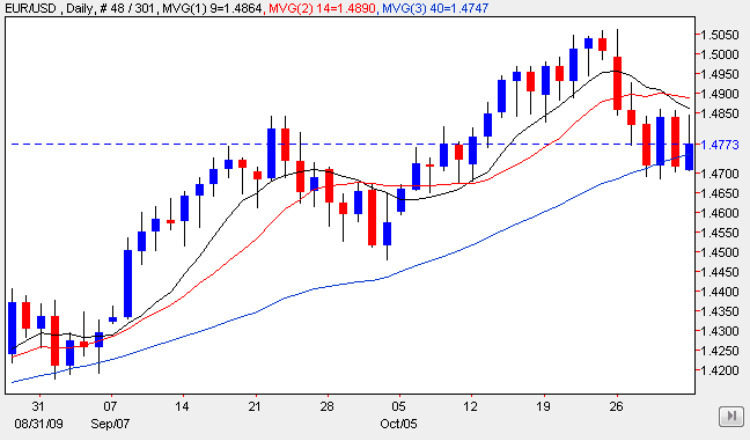 News that the RBA would raise rates was widely expected by the market hence the slight fall in the Aussie dollar. The carry trade now looks to be returning with traders and investing buying both the Aussie and Kiwi. As markets wait for the FED, ECB and NFP the EUR/USD has been trading in a tight range since since the 28th of November between roughly 1.4700 and 1.4850. Look for a breakout of these levels today with either a breakout trade or double trades.